This is a photo of the obituary. If you click on it you can go to the original and use all the buttons on its page. 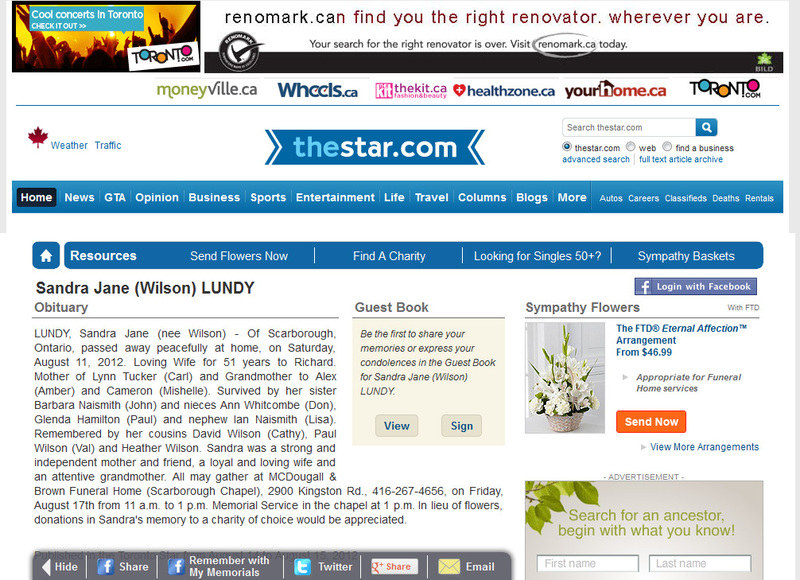 Keep in mind this Memorial Website (that is not the newpaper article or anything attached to the newspaper) is owned by the Lundy Family and is a permanent website, and the newspaper one is only up for two days. Feel free to comment or leave condolences in the comment part of the Memorial Wall here instead of the newspaper one. Our wall here will allow you to send a comment and a link or photograph that everyone can get to see. The comments and photos are moderated by the family before you will see it here on the website (just to avoid spam) so you won’t see your comment right away.